DJI’s new Mavic Pro solves one of the biggest challenges holding the popular Phantom from going truly mainstream: size and portability. The $999 DJI Mavic Pro was announced Tuesday and puts DJI’s Phantom technology into a compact, foldable package about the size of a water bottle. It addresses a key drawback of the Phantom; it’s quite simply too large to toss in a backpack and bring on a hike or vacation. 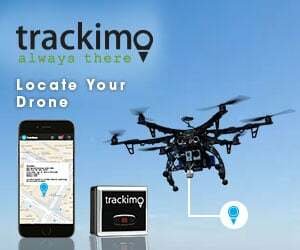 The drone can be controlled either by a small RC transmitter with the sticks Phantom operators are familiar with, or with a smartphone app. While its selling point for many will likely be the size, it has a number of new standout features that aren’t available in DJI’s other drones. Its new transmission system called OcuSync gives Mavic Pro a range of 4.3 miles. Another brand new feature is Gesture Mode, where the drone will react based on different gestures it sense you making, such as turning your body in the shape of an X. Making a snapping motion will tell the drone to snap a photo. A new Terrain Follow mode allows a drone to head up or down a slope behind a subject while remaining at a constant height from 1 ft to 33 ft, a feature that could be ideal for someone skiing down a slope or someone biking up a mountain. 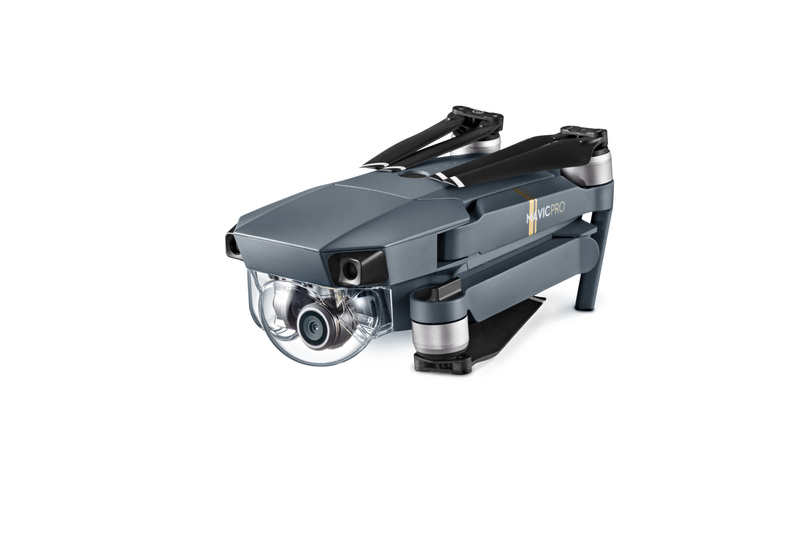 Mavic Pro also pairs with DJI goggles, displaying a 90-degree view from the drone. It also allows you to control the drone using the camera; looking down will tilt the camera down, while looking left or right will change the direction of flight. 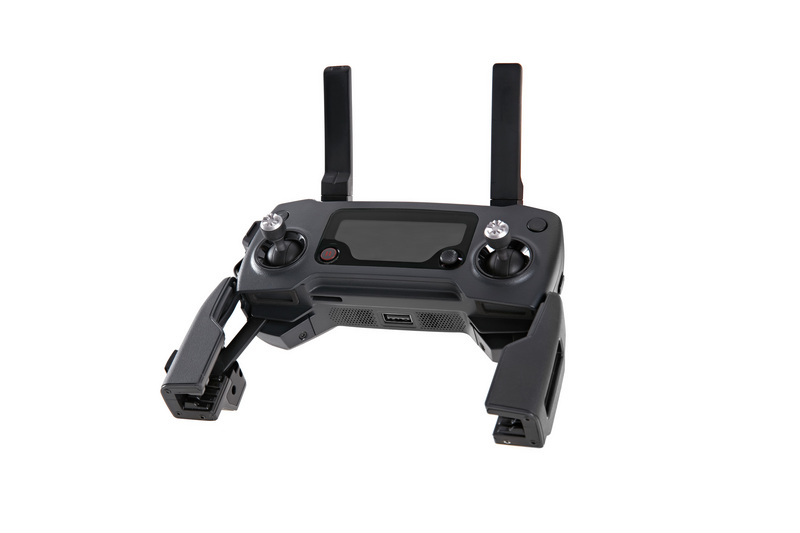 Mavis Pro offers up to 27 minutes of flight time, and records 4K video at 30 fps and full 1080p HD at 96 fps. Like the Phantom 4, it uses a three-axis gimbal to reduce shaking in videos, has obstacle avoidance sensors in the front of the drone and features like TapFly. While it doesn’t have a speed dial like the Phantom lineup, it has sport mode which allows speeds of up to 40 mph, and tripod mode, which caps Mavic Pro’s speed at 2.2 mph. 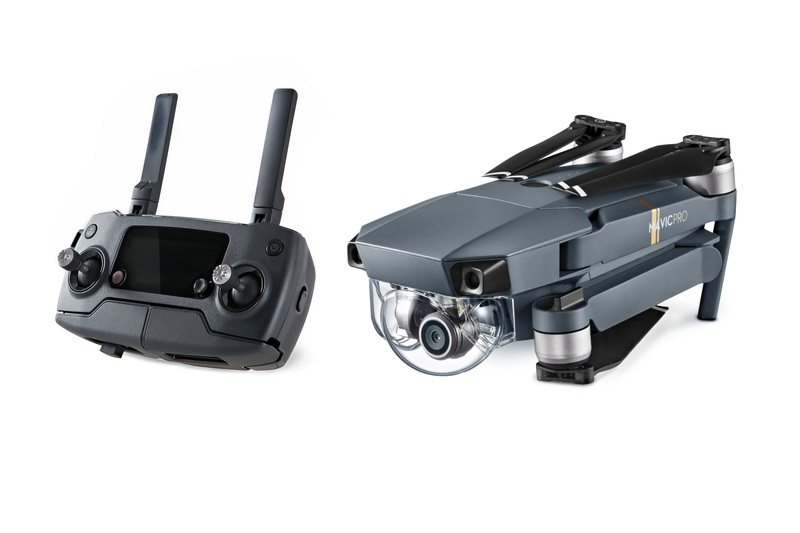 Mavic Pro appears to be DJI’s response to both the GoPro Karma drone and Yuneec Breeze, both drones from major technology manufacturers that are increasingly focused on size and portability. The $499 Yuneec Breeze which is available now is 0.81 pounds and about 8 inches wide. The GoPro Karma ($799 or $1,099 with a Hero 5 camera) is larger at 16 inches wide and about 2 pounds, but is also foldable and markets itself as highly portable. GoPro Karma will ship at the end of October. Mavic Pro is immediately available for pre-order and will begin shipping in mid-October. It will be available in Apple Stores in early November. I tried a Spark and it would not pair with my iPhone. Mantis did so automatically on first try.